Meet Keith Cornell of CJ Socket Technologies in Beverly | CJ Socket Technologies, Inc.
BostonVoyager — July 31, 2017 — Today we’d like to introduce you to Keith Cornell. 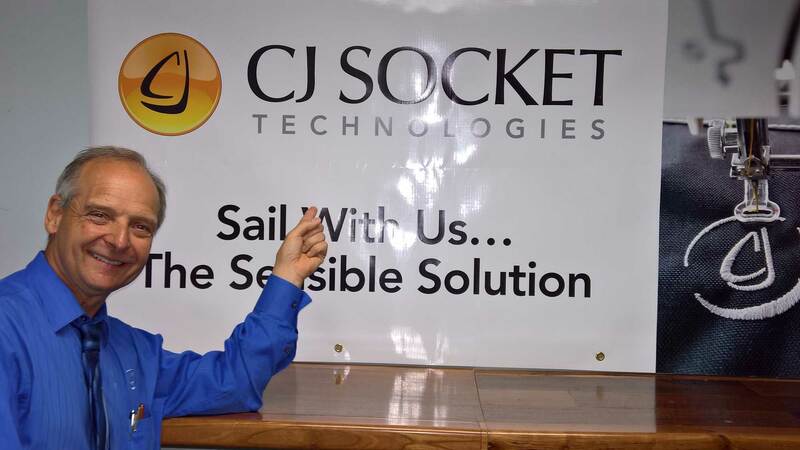 The “CJ” socket was developed in 2010 and patented in the U.S. in 2015 by Keith Cornell CP, FAAOP. He has been practicing prosthetics since 1980 and continually found that he was frustrated because traditional prosthetic sockets for amputees were fixed in volume and therefore not adjustable. Most amputees deal with changes in volume of their amputated limb on an hourly or daily basis. These fluctuations in volume affect the overall fit of their prosthetic socket. If their amputated limb shrank, the traditional solution was for the amputee to add layers of ‘socks’ over their limb to compensate for that volume loss. Conversely, if their limb swelled, then they would have to remove ‘socks’ in hopes that they could decrease the overall size of their amputated limb so that their socket would fit again. Historically, prosthetic sockets are fixed volume sockets. The rigid and semi-rigid socket materials are formed over a mold made from the patient’s amputated limb’s volume at the time of casting or an image capture (a snap shot of the immediate amputated limb volume). Once the socket is made, its volume is relatively fixed. If the amputated limb’s volume changes significantly, weight bearing and skeletal control is reduced in the socket and eventually becomes problematic. Prosthetists spend significant time dealing with socket issues attributed to their patient’s amputated limb volume changes. They can try installing pads, or grinding and flaring the rigid socket material. However, that often sacrifices their intended design to provide comfort and increase their patient’s functional ability and therefore their willingness to wear and use their prosthesis. Transfemoral prostheses (for patient’s amputated above their knee) have been particularly problematic for the wearer. They often experience discomfort from sitting on their hard plastic socket. Additionally, these sockets can be difficult to put on if they are overweight or elderly. This cumbersomeness and discomfort contribute to an often overwhelming daily routine, especially for the elderly. Often times, the result of these issues is that the patient simply does not find the prosthesis worth the time and trouble to wear.